For optimum results, the golden rule with blepharoplasty is the earlier you seek treatment the better. As soon as any of the conditions below become evident, it may be time for a consultation to take corrective action. First signs of normal ageing are usually noticed by changes in facial skin, downward shifting of the brow, and fullness of the eyelid skin leading to wrinkling and sagging of the eyelid which may become apparent under the lower eyelids and at the corners of the upper eyelids. The tendency for this to occur may be hereditary but may also become evident from an early age. More often, however, the fullness can appear in the mid thirties, becoming even more marked in later years. Once the tendency for this to occur is apparent, the condition will progressively worsen. The skin around the eyelid may become so stretched, as to impair sight. Once this has occurred, repair is much more difficult and the results may not be as good as with cases of earlier surgical intervention. The results of an early blepharoplasty can be highly successful. There may be more wrinkling or fullness of the skin as years go by, but once those fatty tissue “bags” are removed, they generally do not return. 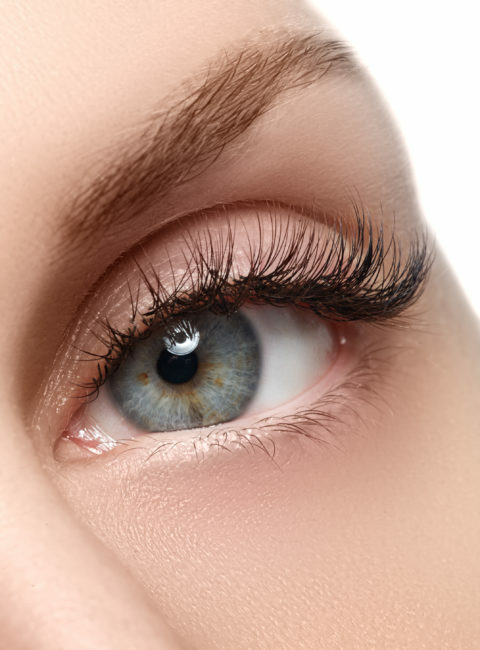 This aesthetic surgical operation involves the eyelid structure and the surrounding soft tissue only. There is no interference whatsoever with the muscles or organs of the eye itself. Therefore, there should not be undue concern about the possibility of any visual impairment. The repair of incisions is performed with very fine stitches. In the upper lid, the excess skin , along with the protruding fatty tissue is removed. In the lower lid, the operation may be performed from the outside, at which time some loose skin is removed. The incision line is very fine, taking the shape of a natural lid crease; usually healing without any mark. The procedure may also be performed from inside the lid, where the incision is made in the conjunctiva, with no marking on the outer aspect of the lid. This is called a “transconjunctival blepharoplasty”, and is often combined with laser resurfacing. Download our step-by-step blepharoplasty guide (417Kb). When is the laser used in these surgical operations? The carbon dioxide (CO2) laser is used in transconjunctival blepharoplasty to access and remove fat pads, whilst sealing any bleeders. An erbium laser is used to resurface the lower eyelids, after the fat has been removed. The use of laser resurfacing has a similar effect to cutting away the loose skin and, in addition, it softens any wrinkle lines. How long does this surgical operation take? The operation itself takes between one and two hours. You may have only one set of lids operated upon, or both the upper and the lower lids. The procedure is usually performed under local anaesthesia and only a few hours recovery are needed in our Day Surgery Centre. As with any operation there are always risks and here at the Aesthetic Surgery Centre, we believe every patient should be aware of them. However, the likelihood of these problems occurring is no greater than it is with any other surgical operation. The postoperative erythema (redness of the skin): may persist for a few months after laser. This may be hidden by the use of green concealer makeup. An icepack will be placed over the eyelids to help reduce the swelling and bruising. The amount of bruising that you get is very variable: in some people, it is hardly noticeable; in others, it can be quite severe. After discharge, you should go home to rest, and ensure that you have a responsible adult at home for care and support. If sutures have been used to close the wound, these are removed after five days. If you have the eyelid skin resurfaced, you will be given clear instructions for postoperative care. The eye area will be swollen and may be bruised for 7 to 10 days. This will gradually fade within one to four weeks. Then you will be your new self! We do not recommend that you wear any makeup for at least a week after your blepharoplasty. After the swelling has subsided (and the wounds completely healed if you have had an incision), you may apply eye makeup. Please note that this information is for illustrative purposes only. Always ask your Cosmetic Surgery Specialist first!